Planning your weekend with a group of friends? We’ll make sure it’s easy and affordable for you with our exclusive bundled tickets + hotel room packages. Las Vegas is known for incredible resorts with luxury amenities, and now you can have it all by purchasing just one package (including all taxes and fees). Kick back and relax at your hotel just walking distance from the festival entrance. Plus, receive exclusive perks only available when you purchase hotel + ticket packages! Package includes: Two or Four 3-Day GA or 3-Day VIP tickets, Three-night hotel accommodations, and an Exclusive festival gift. Purchased your tickets and now need a place to stay? Book at the lowest rate with our partner Hotels for Hope all while giving back to a local charity. For each room night booked, $2 is donated to Communities In Schools Nevada to help improve the lives of children in the Nevada community at no cost to you. Parking at the festival can be tricky. Make it easy on yourself and take advantage of a guaranteed spot in the World Market Center lot and round-trip shuttle rides to LIFE IS BEAUTIFUL in less than 10 minutes. 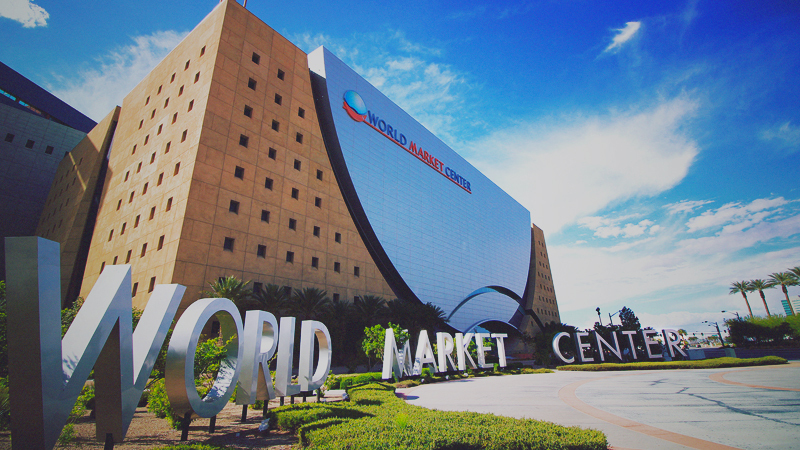 A pass includes rides for individual passengers between the World Market Center and the festival all weekend. Park & Ride is at World Market Center, 495 S. Grand Central Parkway, and drops off within a block of the festival entrance. If your posse rolls more than two dozen deep, why not get a suite? Whether hosting guests for work or play, a Hospitality Suite ensures a memorable and exclusive experience for all. 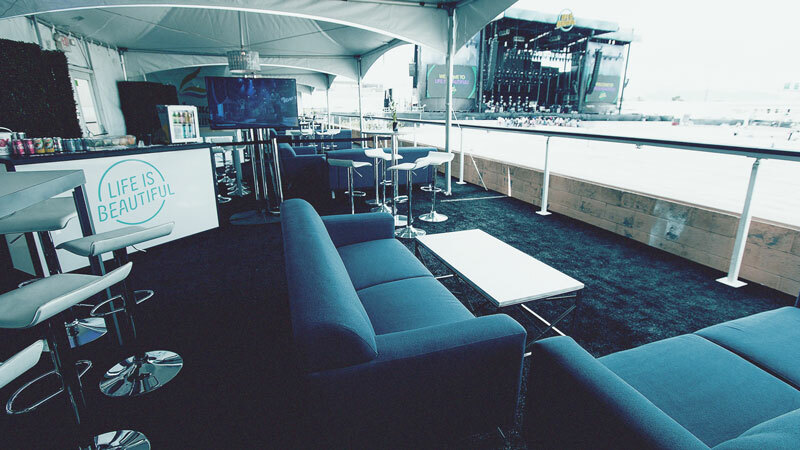 Hospitality Suites at LIFE IS BEAUTIFUL come with 25 Three-Day VIP tickets and a fully furnished space with an awesome view of the main stage that your group will call its own all weekend. Inside, enjoy an open bar with a dedicated bartender/host and a food menu with complimentary eats. The suite features entry signage with your group name or company logo on it plus suite-level-only air-conditioned restrooms. Guests have access to all the perks of VIP admission as well. The General Admission wristband grants you access to experience all of the sights and sounds of four stages, taste the city’s best cuisine, enjoy a laugh at the comedy showcase, listen to impactful speakers, and be stunned by murals and immersive art installations throughout the footprint. 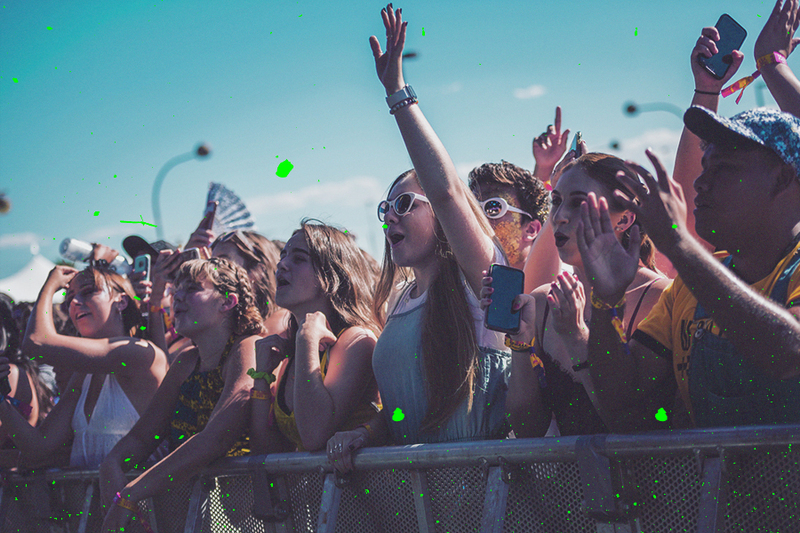 The VIP wristband includes all General Admission features plus shaded lounge areas at each stage, concierge services, access to exclusive food vendors, private cash bars with specialty drinks and cocktails, air-conditioned restrooms and express entry lanes with unlimited re-entry. 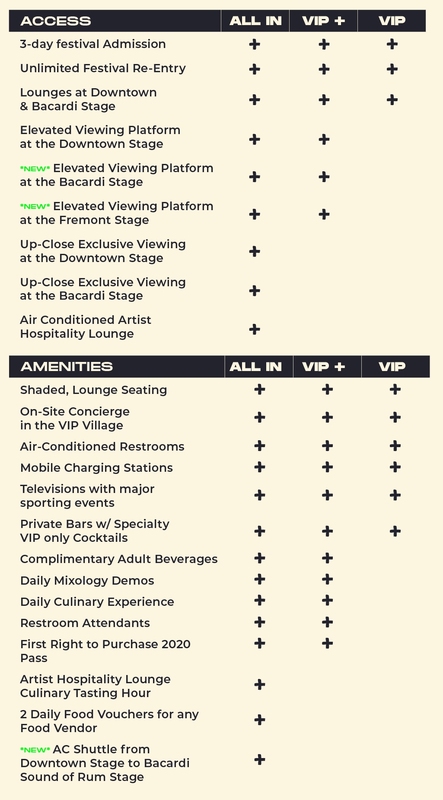 The VIP+ wristband includes all GA & VIP features plus complimentary beer, wine and cocktails at dedicated bars, elevated viewing at the Downtown, BACARDÍ, and Fremont Stages, Exclusive daily food and beverage moments, air-conditioned restrooms with attendants and festival survival supplies. Elevated Viewing Platforms at Downtown and Fremont stages. 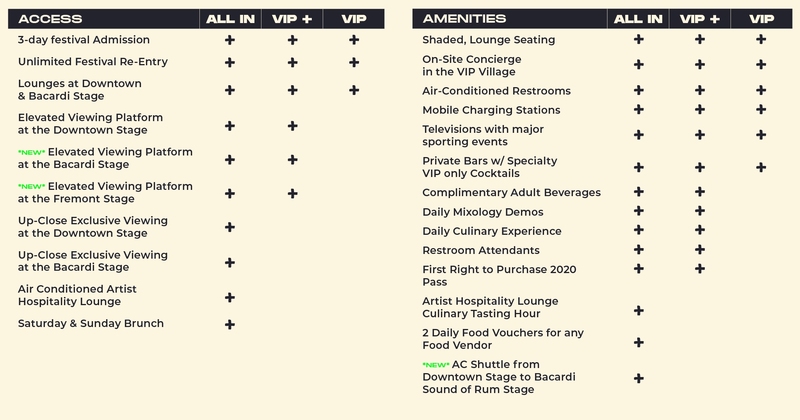 The All-In wristband includes all GA, VIP & VIP+ features plus shaded luxe lounge seating, access to the artist hospitality lounge including an exclusive culinary tasting hour, Saturday & Sunday Brunch, Shuttle Services between stages, food vouchers, and a commemorative 2019 festival gift. 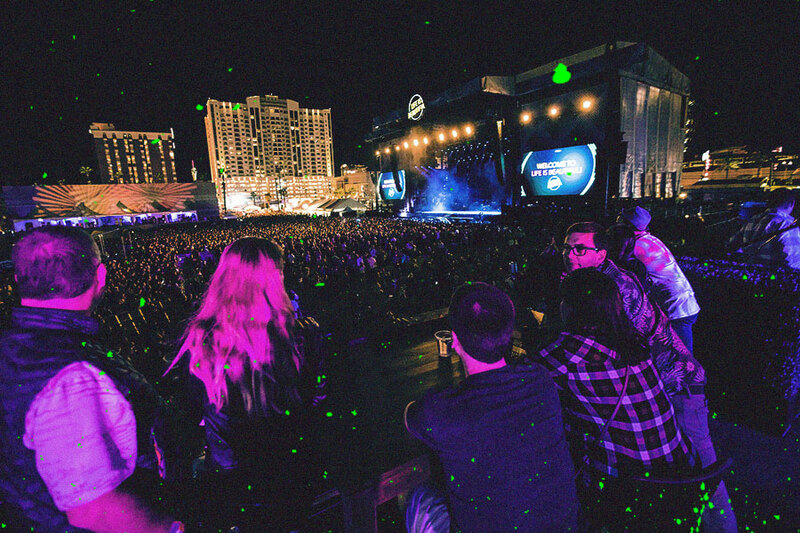 Elevated Viewing Platforms at Downtown, BACARDÍ, and Fremont stages. As a hotel guest at Downtown Grand Hotel & Casino, you will be guaranteed complimentary admission into three EXCLUSIVE and OFFICIAL LIFE IS BEAUTIFUL daytime pool parties at Citrus Grand Pool Deck on September 20, 21 and 22. Less than a five minute walk away from the festival entrance, the Downtown Grand Hotel & Casino features two 18-story and 25-story towers with 629 guest rooms and suites. 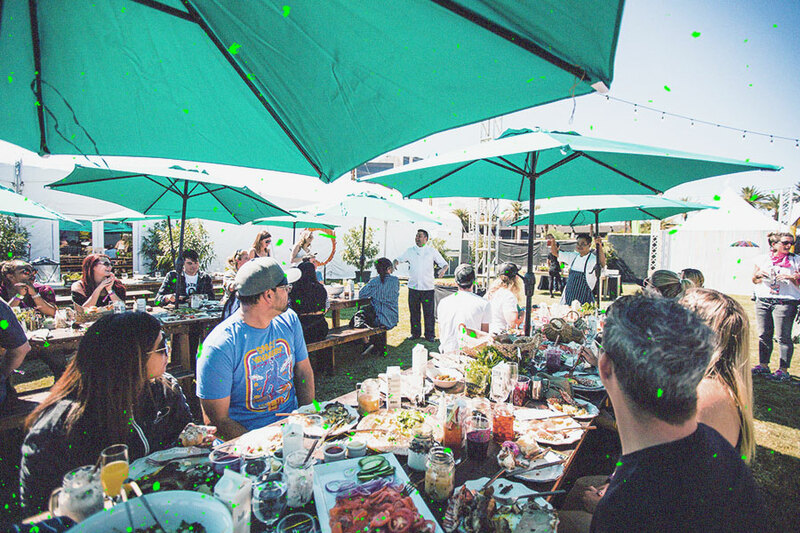 Citrus – home to the 2017 and 2018 Official Daytime Pool Party Series that featured artists: Capital Cities, Elderbrook, Sir Sly and Cold War Kids – is the property’s rooftop pool experience that features an infinity pool, restaurant and bar, semi-private cabanas, a fire pit and a grass seating area. 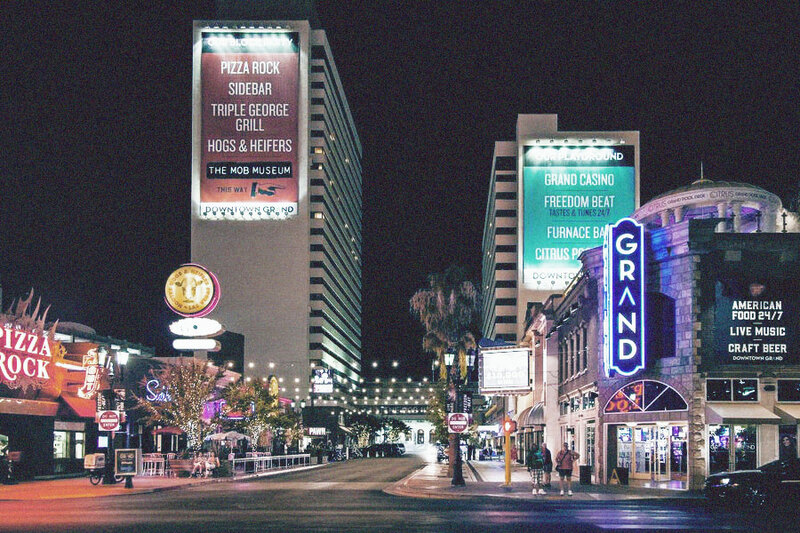 The restaurants, bars and entertainment include Freedom Beat (home to live music and all-you-can-eat weekend brunch), three boutique bars, the award-winning Las Vegas steakhouse Triple George Grill, the famous Hogs & Heifers saloon and Pizza Rock. 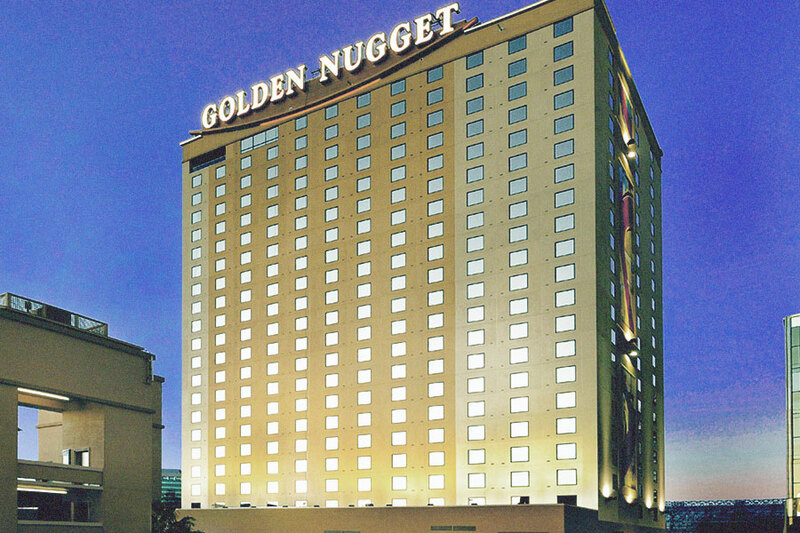 A luxury resort on Fremont Street, Golden Nugget features spacious, modern rooms in its Gold and Rush towers, as well as numerous dining and entertainment venues. The property’s aquatic complex, The Tank, is a year-round outdoor swimming pool with a 200,000-gallon shark aquarium and poolside lounge. 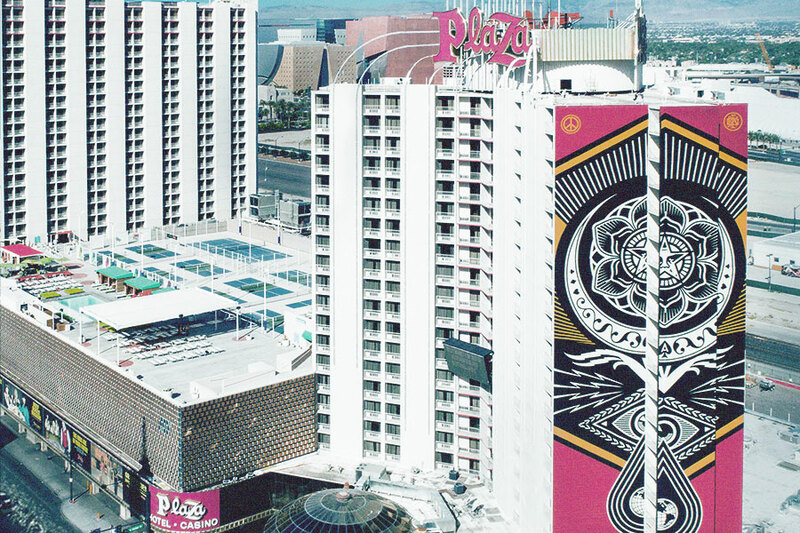 At Plaza Hotel and Casino, guests are treated to the beautiful life before they even walk in the door. LIFE IS BEAUTIFUL artists, Shepard Fairey and D*Face, used the resort’s exterior as a canvas to create two large-scale murals. The Plaza is the place to be in Downtown, bringing old Vegas—with all of the lights—to life with new, exciting twists. 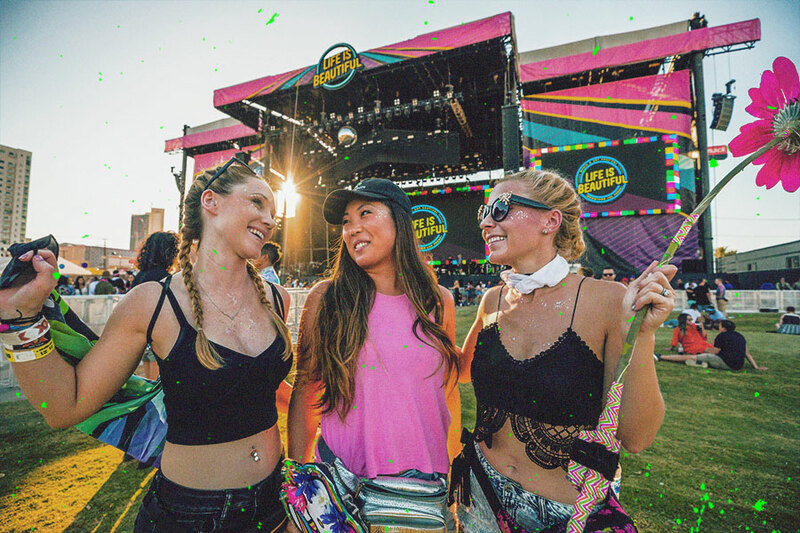 © 2019 LIFE IS BEAUTIFUL Music & Art Festival.